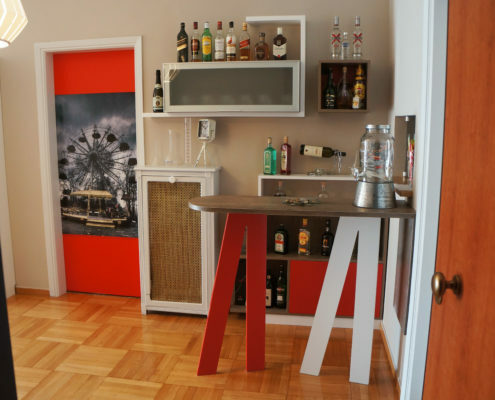 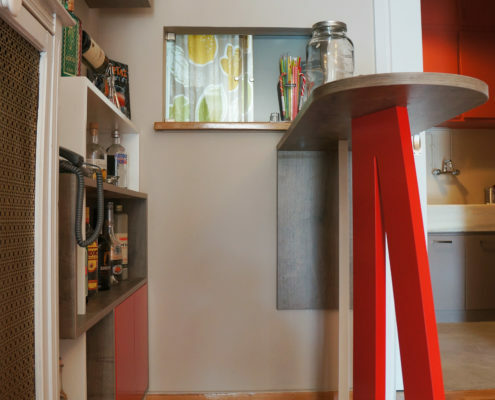 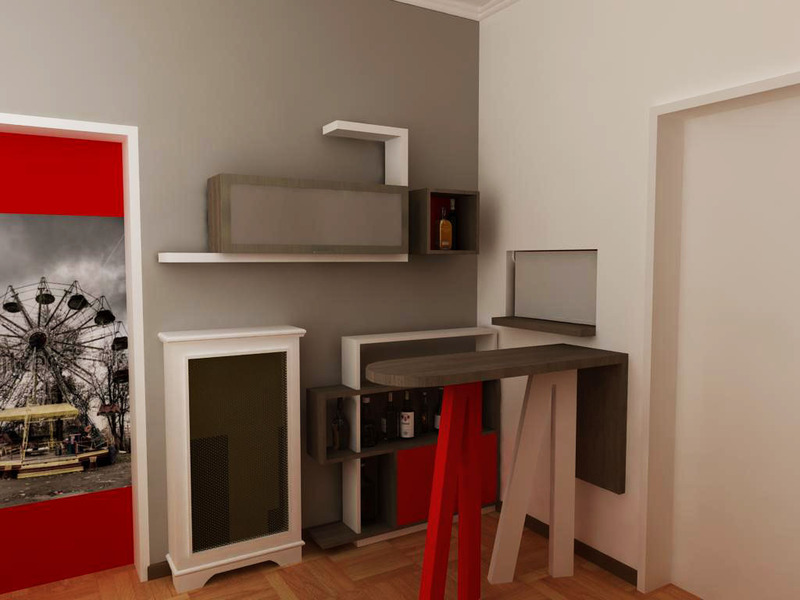 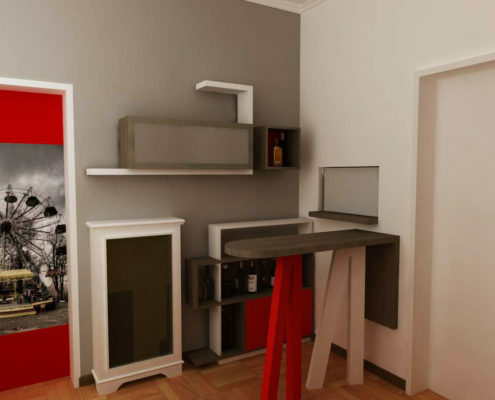 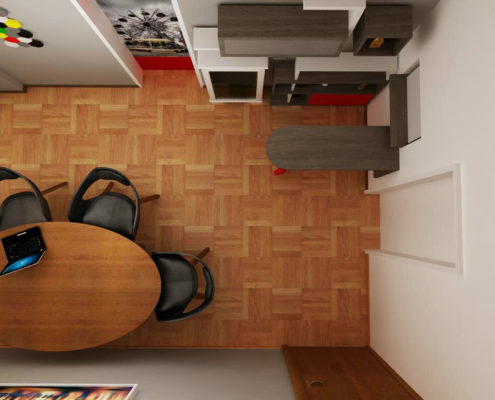 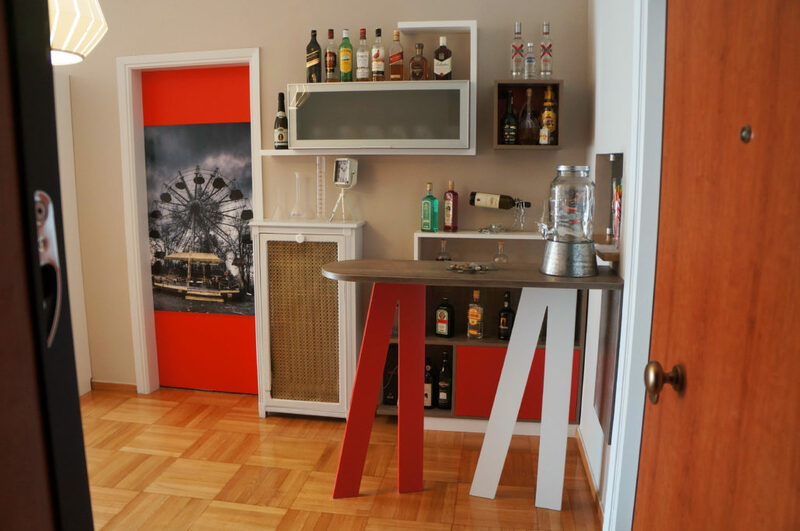 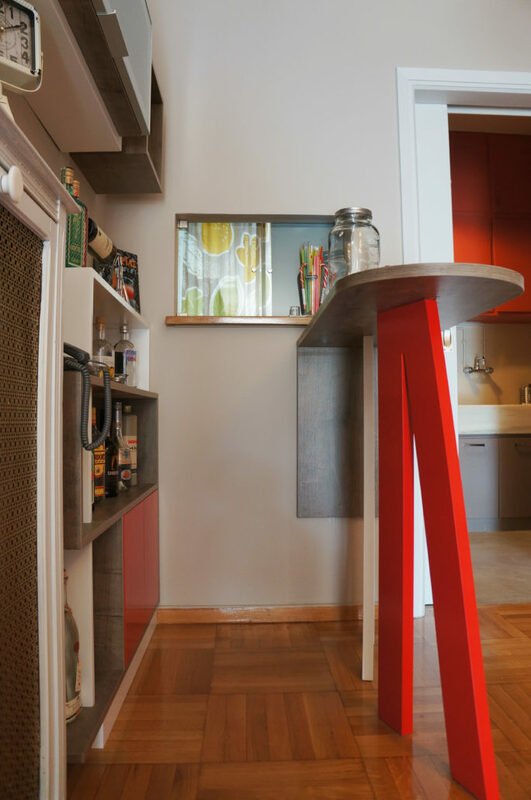 During the refurbishment of the apartment there was a need for furniture that would serve as a welcome area and at the same time as a mini home bar. 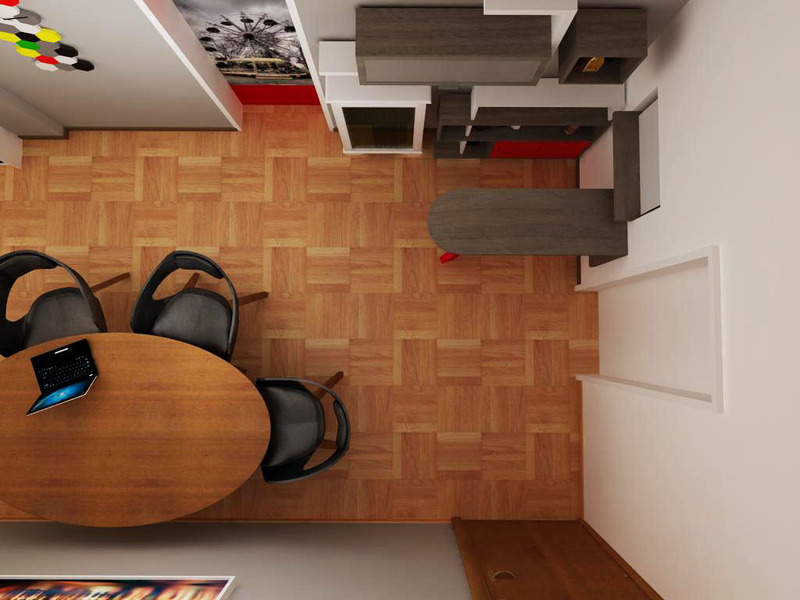 The colors match with the colors of the other selected furniture of the living room. 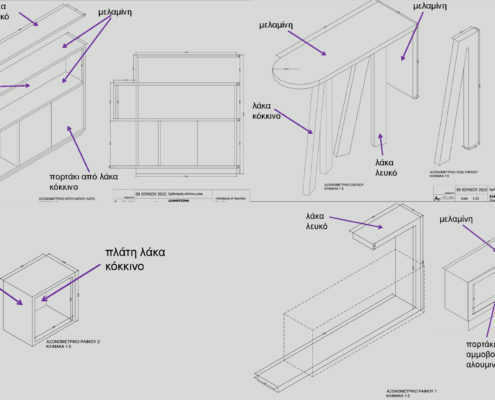 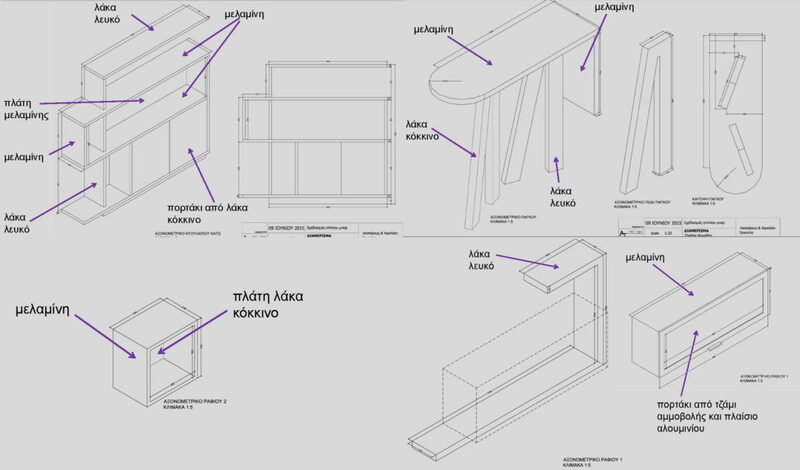 The dimensions of the furniture suit with the space and the radiator on the wall behind.